What a fun cake smash session and so amazing to see Layla back. You might remember this adorable little girl from her newborn session, one of my all time favorites! We incorporated some of the same colors we used for her newborn session of purple and peach. It is always so nice to tie in the sessions together and make it a cohesive set of photos. 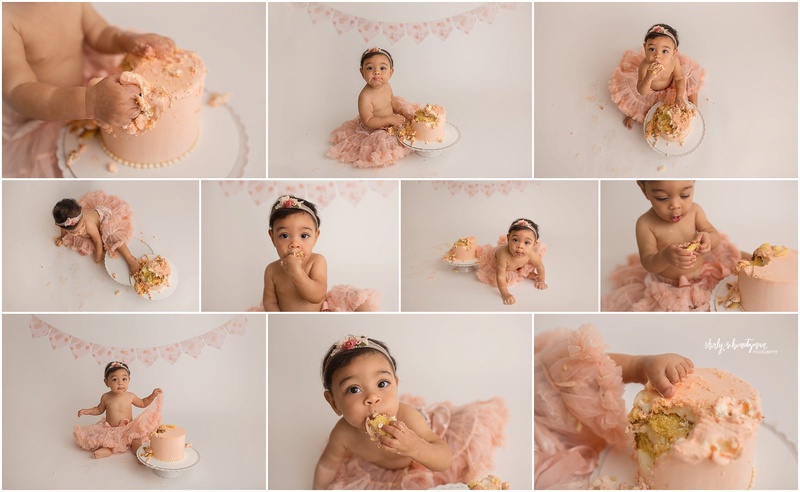 I love how delicate the pastel peach cake smash set up turned out and how much fun Layla had even getting her cute little foot in the cake!